Ho, ho, ho, much tail wagging – it’s almost Christmas! If you’re yet to find a gift for the pet lover in your life, our very own Power Pets have been busy in 2018 working paws to the wall on some creations that might just take your fancy. We’re about much more than getting that pawfect Instagram shot – we do woofin’ good things offline, too. Howls of joy could be heard around the globe when ocean-loving Nathan took to the sand and shot to fame as the ultimate beach bum. Now big sister to fellow beach lover Winnie, the pair are making a splash in their 2019 calendar. Think four legged Baywatch – this furry duo will brighten up each month of the year ahead and put a smile on any cat lover’s face. Oh, and donations from every purchase are made to animal welfare organisations! Order yours here. 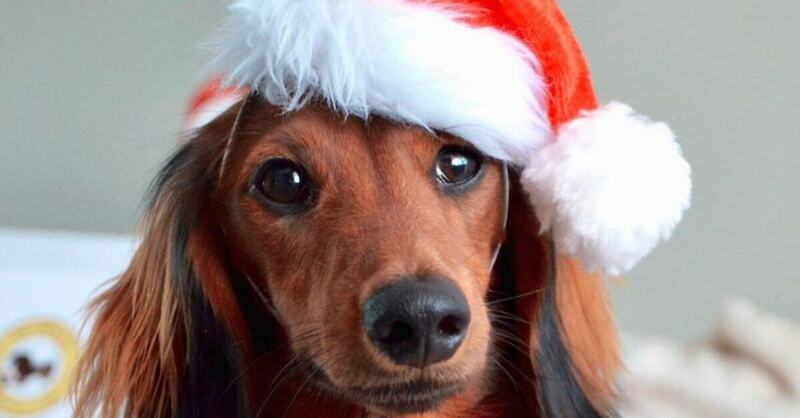 Send your festive greetings from the vertically-challenged paws of Frankie the Lil Sausage! Spread the joy and wish your loved ones a Happy Howlidays with these super-cute Christmas cards, available from Sausage Dog Central. Buy here. Everybody’s favourite underdog is back with more pwoof that rescue is the best breed. From humble beginnings to establishing himself as a published pawthor, Pikelet provides two potential Christmas gift ideas for the pup lover in your life. In fact, his musings have been so pupular, his works made it to the Melbourne Writers’ Festival! Choose from the photo-packed coffee table book featuring snaps from Pikelet’s wildest adventures, or the snivel-worthy memoir detailing Pikelet’s life on death row before his new owners gave him a vital lifeline. It’s the perfect wags to riches four legged fairytale to delight your loved ones this Christmas. Shop Life of Pikelet here. In 2015 Life of Jinkee and her humum united their love of dogs and food to create the kind of enamel pins that people notice. A little quirky and a lot of fun, each one features a different breed of dog with something delicious. Better yet, $2 from each pin sold helps dogs help people (and vice versa). This contribution is donated to Lort Smith not-for-profit animal hospital, adoption centre and community outreach program. The organisation does not receive any government funding and relies on donations and grants to operate. PinstaPals operates online and is run out of Melbourne, Australia. It was founded by Sofia Levin, a journalist and food lover, better known as @LifeOfJinkee’s mum. Shop Pinsta Pals here. The furry face behind Van Cat Meow and its 88k-strong Instagram tribe is Willow – the ultimate adventure cat. If cats on dashboards are what get you giggling, you’ll love the Van Cat Meow 2019 calendar. Oh, and don’t forget to use coupon ‘MND’ at checkout to claw yourself 5% off and send the profits from your purchase to fund MND (ALS) research. Buy yours here. King Kingsley is the King of Dachshunds – and he’s got over 135k tails wagging on Instagram with his Gold Coast-based cuteness. What he lacks in height he makes up for in creativity, so snap up the Sausage Dogs of the World Christmas Edition book for the Dachshund lover in your live. Packed with squeal-worthy snaps of the world’s best and most festiveshort and stumpy doggos, this is the gift that keeps on giving. Order here. Not a Power Pet but a Power Person, Holly Somerville-Knot created this gorgeous Fair Trade Tengkawang Oil-based soap with a bigger picture in mind. Empowering Australians to save the rainforest from their morning shower, each bar of soap purchased helps to regenerate rainforests, protect endangered wildlife and empower local indigenous people. Buy yours here.